At this week’s council meeting, councillors had to consider an application for a heliport at Balgownie Estate in Yarra Glen. I had concerns about the application, so when Cr McRae moved a motion to refuse the application I readily seconded the motion. 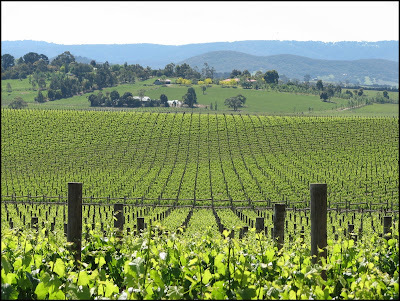 The Yarra Valley is one of Yarra Ranges jewels, I'm not convinced that tourists are going to enjoy the tranquility and spectacular vistas of the region with helicopters buzzing overhead 12 times a day. I was concerned about the impact on residents and tourists to the Yarra Valley. The Yarra Valley is a place with high landscape values prized by locals and visitors alike and I thought the helipad was an undesirable intensification that would not enhance the region. I was concerned for the locals, children and adults, who are still deeply traumatised by the sound of helicopters after the Black Saturday bushfires. Even though this is not a planning matter we need to take into consideration the significant trauma suffered by locals and as a resident of the Dandenong Ranges I know that helicopter activity in Summer means danger. The region is zoned Green Wedge, land that must be protected for its environmental or agricultural values, in this case this is a significant agricultural region of the shire and I cannot see how a stand alone helicopter operation can be considered as operating in conjunction with an agricultural activity. To me this is the baseline for measuring applications in Green Wedge, if the use is not compatible with environmental or agricultural purpose then it probably isn’t a good fit. The application is not complimentary to the area, it is intrusive to the community and tourists who visit a green and tranquil place and we want it to stay this way. Councillors voted unanimously to refuse the application. The Council has made a sensible decision based on a fair evaluation of the application. The abatement of noise is a responsible action to preserve and enhance the experience of visitors to the beautiful region. Thank goodness it was turned down. After the weekend after Black Saturday we were busy making sure our property was clear and as fire safe possible. All weekend a helicopter circled around our area as there was a four-wheel drive show on nearby with helicopter joy rides. The community was really on edge as to us helicopters meant more fires. These joy rides were intrusive and unnerving. While we need to cater for tourism and business people need to remember that we also live in the valley. What are you guys talking about? Who cares about a little sound? Lilydale airport is just 15 kms away and they perform charters at least 10 times a day. You people are exploiting bush fire victims to back up your own argument. What about car crash victims? Are we to take all the cars off the road just because of a select group? Relax people! Stop finding little things to complain about!